Alexandria Smith is a mixed media visual artist and co-organizer of the collective, Black Women Artists for Black Lives Matter. In Smith’s large-scale, mixed media works, humor and a dark probing of social issues are filtered through her personal mythology. 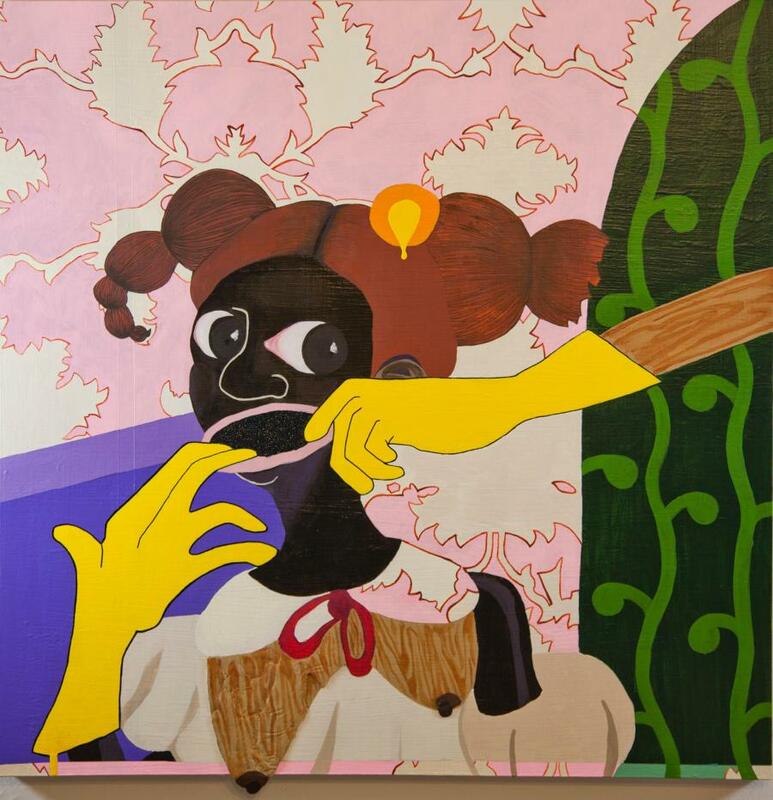 Interweaving memory, autobiography and history, her work utilizes painting, collage and installation to explore transformative girlhood experiences as they intersect with the complexities of Black identity. Through amorphous, hybrid characters, Smith obsessively deconstructs images of the female body: legs, hands and pigtails become characters and landscapes—a topography of the psyche. Smith is the recipient of numerous awards and residencies including: MacDowell, Bemis and Yaddo; LMCC Process Space Residency, a Pollock-Krasner Grant, the Skowhegan School of Painting and Sculpture Fellowship, the Virginia A. Myers Fellowship at the University of Iowa and the Fine Arts Work Center Fellowship. Her recent exhibitions include: Black Pulp at Yale University, The Lure of the Dark: Contemporary Painters Conjure the Night at Mass MoCA, and an upcoming solo exhibition at Boston University Art Galleries. This lecture is co-hosted with the Boston University Art Galleries. "Alexandria Smith: A Litany for Survival" will be on view in the Stone Gallery at Boston University November 8, 2018–January 27, 2019.